The penitential season of Lent is upon us, and we Catholics, like Christians everywhere, begin preparing to commemorate the passion of Our Lord Jesus Christ. Just a few short weeks ago, we celebrated his birth, and now the Church begins our preparation to join him on his journey to Calvary. The church scene becomes somber, more intense, and such terms as contrition, conversion, penance, almsgiving, fasting and abstinence dominate the liturgy. Pope Clement XIII in 1759 said that “penance also demands that we satisfy divine justice with fasting, almsgiving and prayer and other works of the spiritual.” The purpose of our fast is to not become physically weak or lose weight but to create a hunger, a spiritual void that only Christ can fill; in fasting from the heart, we express our love of God and acknowledge our sinfulness. Though unworthy, we pray our sacrifices will be acceptable to the one who suffered and gave his life blood for us. Every Ash Wednesday we hear from the prophet Joel (2:12-14): “Yet even now — oracle of the Lord — return to me with your whole heart, with fasting, weeping and mourning. Rend your hearts, not your garments, and return to the Lord, your God.” It is not our clothes but our hearts we need to rend in reflecting our sorrow. Our fast is not for man but for God. Fasting and abstinence are Church-imposed penitential practices that deny us food and drink during certain seasons and on certain days. These acts of self-denial dispose us to free ourselves from worldly distractions, to express our longing for Jesus, to somehow imitate his suffering. Abstinence traditionally has meant not eating meat and, for centuries but no longer, included meat by-products. Many may recall the calendar hanging in the kitchen that included a fish symbol on each Friday of the month. Catholics never have been compelled to eat fish on days of abstinence, but rather, to avoid meat. While abstinence refers to the kind or quality of food we eat, fasting refers to the amount or quantity of food consumed. It is contrary to the spirit of abstinence and fasting if we avoid steak but pile our plate high with fish. In the Old Testament, God told Adam and Eve not to eat (abstain) from the Tree of Knowledge (Gn 2:17). Queen Esther (Est 4: 15), in a successful attempt to save the Jews, ordered a three-day fast for herself and her court. The Book of Jonah describes how the people of Nineveh fasted and were saved from God’s wrath (3:4-10). Jesus set the example for our fasting when he went into the desert and fasted for 40 days and 40 nights (Mt 4:1-11). His entire life involved suffering and self-denial. In Mark 2:18-20, Jesus responds to the Pharisees’ accusation that his disciples do not fast: “As long as they have the bridegroom with them they cannot fast. But the days will come when the bridegroom is taken away from them, and then they will fast on that day.” Once Jesus was not with them, the Apostles did fast and advocated fasting to new Christians as evidenced in the books of Acts and the Epistles. By the second century, fasting was integrated into Christian worship. Jews had long fasted on Mondays and Thursdays, but the Christians chose to fast on Wednesdays, because that was the day of Christ’s betrayal, and Fridays, the day he was crucified. By the fourth century, Saturday had replaced Wednesday as a day of fasting, and over the centuries every-Saturday fasting was dropped. Fasting before Easter was practiced in those first centuries, but the times and extent varied. Until the ninth century, fasting meant one meal a day and then only enough food to sustain life. Those keeping a fast often would give the food not eaten to others in need. 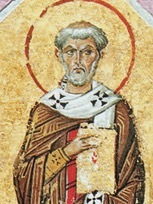 St. John wrote in 1 Jn 3:17, “If someone who has worldly means sees a brother in need and refuses him compassion, how can the love of God remain in him?” The philosopher Aristides, around the year 128, explaining how Christians lived, noted, “And if there is among them a man that is poor or needy … they fast two or three days that they may supply the needy with their necessary food” (Apologia, XV). By the Middle Ages, the number of fast days during the liturgical year had increased and at times included 70 days. Sundays and solemnities have never been days of fast. Through the mid-20th century, Catholic missals identified fasting on weekdays of Lent, ember days, the vigils of Pentecost, All Saints, Immaculate Conception and Christmas. Abstinence was required on all Fridays, Ash Wednesday, the vigils of the Assumption and Christmas. This all would change. In 1966, Blessed Pope Paul VI significantly amended the laws of fasting through his apostolic constitution Paenitemini, in which he affirmed some practices and gave certain authority to national conferences of bishops around the world. The changes by Pope Paul were incorporated into the 1983 Code of Canon Law. Abstinence and fasting are required on both Ash Wednesday and Good Friday. On those days, one full meal is allowed along with two other smaller meals. Catholics bound by the law of abstinence include everyone age 14 and over; the law of fasting includes individuals age 18 through the beginning of their 60th year. Canon Law, the Catechism, precepts of the Church and U.S. bishops’ document “Penitential Practices for Today’s Catholic” explain our fasting obligations. Before Lent, most every Catholic parish emphasizes the rules and rewards of fasting and abstinence. 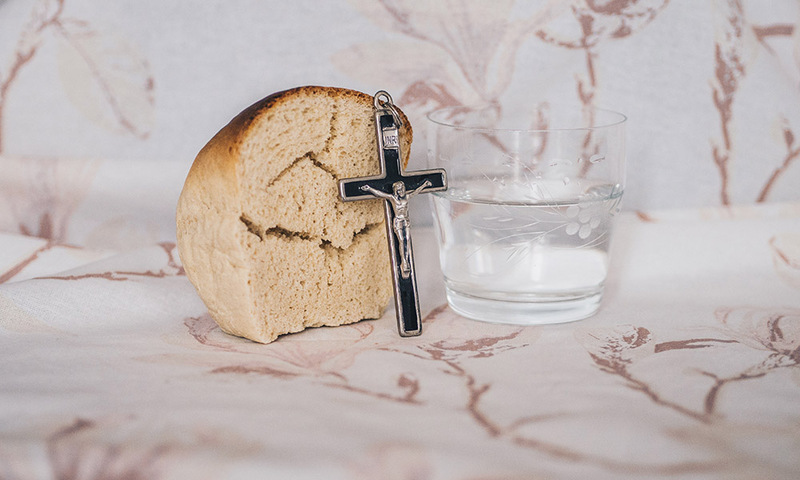 A one-hour fast is always required before receiving Communion. In addition to Friday abstinence during Lent, every Friday is a day of penance (Canon Law, No. 1250). According to Canon 1253, the conference of bishops in each nation may “substitute other forms of penance … for abstinence and fast.” U.S. bishops have maintained the obligation to fast and abstain on Ash Wednesday and Good Friday and abstain on the Fridays of Lent. They have granted U.S. Catholics the option of doing another form of penance on Fridays outside Lent rather than abstaining from meat. The bishops focus us on Friday self-denial, along with works of charity and mercy while recalling Christ’s passion.